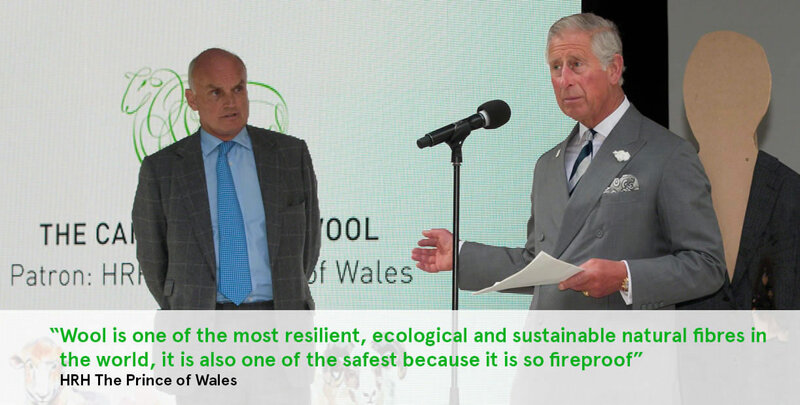 The wool industry has put a lot of money - and a royal patron - behind new efforts to convince people that wool is sustainable. But let's get one thing out of the way, right away, ok? Telling people wool is green by building a PR campaign around burying it and celebrating its biodegradability is like telling people that beef is green by burying it and celebrating its biodegradability. Let's put on our greewashing goggles and take a closer look at this. The glaring problem is that it's not the sheep's hair per se that's the environmental and ethical disaster. Instead, it's the inextricable raising-of-the-livestock part. But take those goggles off and just shhhh because the wool industry doesn't want to talk about that. MYTH #1: IT'S JUST HAIR. Sheep don't just spring-up from the ether with a thick coat of wool to shear off. They must be bred. Raised. Reared. Fed. Watered. Grazed or confined. Modified. Tracked. Measured. Processed. Shipped. Slaughtered. The amount of resources it takes to produce livestock isn't something to brush off. In fact, livestock are the single greatest cause of the worst environmental problems. Worse than the transportation sector. With around 1 billion sheep worldwide, consider the mind-boggling impacts on land, water, air and energy. The United Nation FAO certainly does. MYTH #2: WOOL IS NATURAL AND BETTER THAN SYNTHETICS. Don't bet the farm on it. The thing about synthetics is that they are always becoming more efficient, more refined, and more scalable. For example, the company that makes lycra has developed a method of using fermented vegetation to produce one of the main ingredients. Researches in Japan have developed a bio-based polyester made from waste molasses. We have only scratched the surface of the potential of bioplastics. Scalability is the issue when it comes to mass-production of textiles. Any time animals are put into a production model and scaled-up to meet massive demands, it is practically a law of business that corners are cut. The mantra of maximum profit at minimal cost has dire ramifications on both people and animals. The veterinary, social and psychological needs of animals continue to both humble us and evade inclusion in our business models that prefer to cast them a "units of production". In addition, a lot of sheep are put in "sheep dip", a bath of toxic chemicals (organophosphate pesticides (OPs)) to prevent infestations - and people are getting sick from it. MYTH #3: THE WOOL INDUSTRY IS A BUCOLIC FANTASY Picture a wide open space. Lush and green. A few sheep speckle the landscape beyond a farmhouse - mother sheep with lambs, a few sheep lazing in the grass. A concerned shepherd watches on. 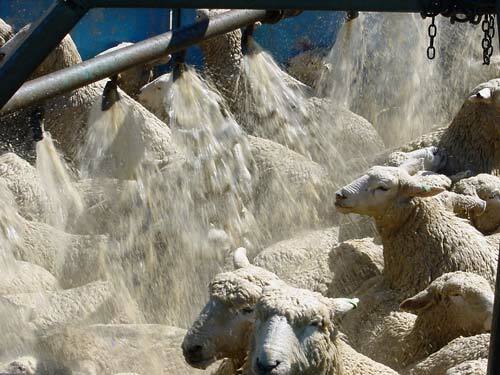 Images like these are used all the time to represent the wool industry. But like all animal agriculture, modern techniques and increasing demands have changed our naive ideas about where wool comes from and also about how sheep "retire". Instead picture this: sheep farms that are millions of acres large in China India and Australia. Mulesing, where strips of flesh are cut away from the behind of sheep without anesthesia. Castration. Live export on huge ships (see image below) with no food or water or veterinary care to the Middle East once the sheep is "spent". Upon arrival they have their throats slit while still conscious (according to Halal and/or Kosher law). And the most depraved practice? Astrakhan (also know as Karakul) where either the fetus is cut out of the mother, or young infant sheep are skinned for one of the most desired luxury textiles in the world.